As part of the Early Years Foundation Stage Curriculum, we are following/ covering the children’s interests and any forthcoming events. 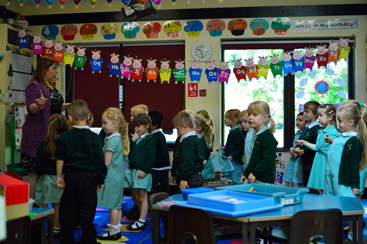 Throughout the year, we always observe and assess the children whilst they play and work. Develop more understanding of the need for safety when tackling new challenges. Formulate & ask questions in order to find out information. Develop comprehension skills by discussing illustrations/stories/books read & shared. To compare capacity, size & length & develop use of the correct vocabulary. Learn about Easter & Chinese New Year. Continue to represent experiences & develop imagination within play situations such as Role Play, Small World etc.